Are you searching for the very best memory foam mattress for your little one? We know that choosing the perfect crib mattress for your little one can be a real challenge. 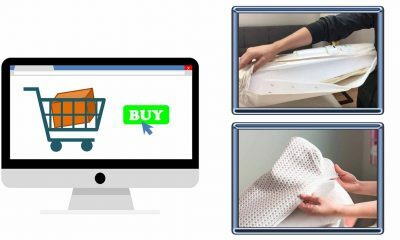 That’s why we’ve created this helpful and handy First Mattress memory foam crib mattress review. 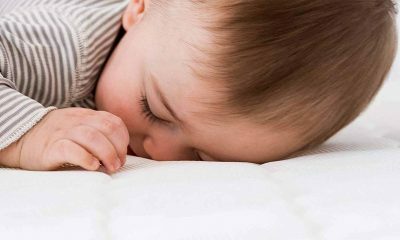 Discover exactly why our top experts rate this mattress as one of the very best memory foam options available for babies on the market today. 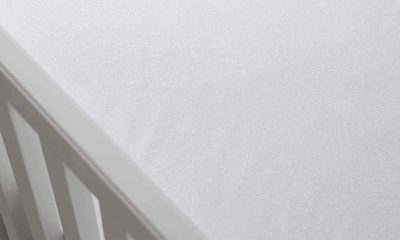 You’ll learn what makes this mattress stand out from the crowd and find out just how safe the First Mattress memory foam model really is for your precious little one. 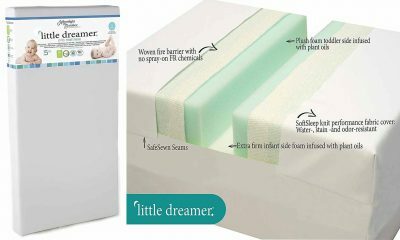 So, you’ll be in the best possible position to decide if a memory foam mattress is perfect for your baby’s needs. Spending less money doesn’t always mean less quality. For parents who like to shop around for the best deal, your search may be over. 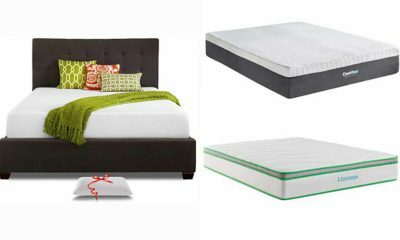 Today, we go through the features, benefits and bonuses of spending wisely on a crib mattress. There’s a chance it may offer too much firmness for infants. 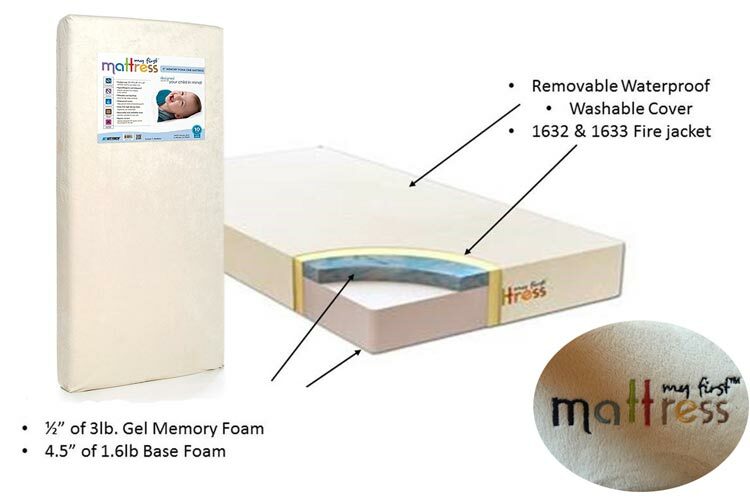 The My First Memory Foam Crib Mattress is made from 6” of certified memory foam. It arrives in a vacuum-packed casing and takes just a few hours to expand to its full height. Included, is a waterproof, hypoallergenic cover which can be removed for machine washing. 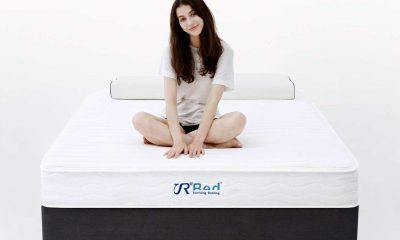 It’s a no frills mattress which focuses on getting the basics right. This My First Memory Foam mattress comes equipped with a handy removable cover. 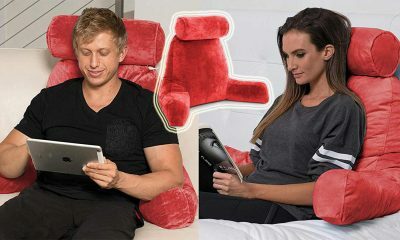 It’s made from velour and is fully machine washable. Vinyl covers can sometimes feel cheap or poorly made but this one is suitably soft and will be kind to your baby’s skin. The cover is anti-microbial as well as being treated with a hypoallergenic finish. 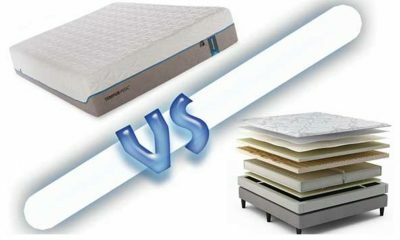 It resists mold and mildew build-up and will protect the inner foam for the lifespan of the mattress. 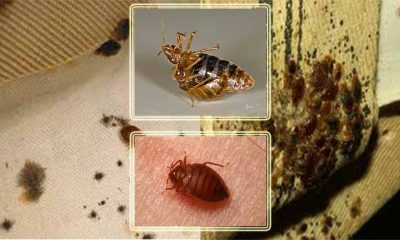 When you’re looking to get the crib mattress you can afford rather than the best mattress on the market, what’s on the inside really counts. There’s no fancy layering, just a thick slice of certiPUR-US certified memory foam. 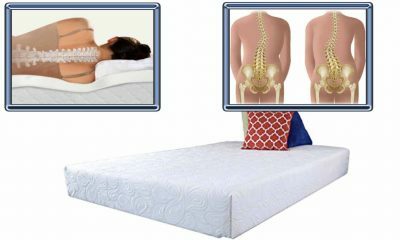 One of the properties of memory foam is its ability to mold to the contours of your body. This provides both comfort and support. We found the My First Mattress to be particularly firm which will help to reduce the chances of SIDS as well as aiding muscular development from a young age. There were no extras on the mattress which we would expect at this price point. One of the concerns we do have with this mattress is the lack of air-flow. If you have a child who sleeps particularly hot that lack of air-flow could be a problem for you. Other than that, we felt satisfied that this crib mattress, even without any extras, is more than fit for the task. Unfortunately, “My First” brand doesn’t offer any sort of trial period for their customers. The investment isn’t a huge one so we felt a trial period wouldn’t be necessary on this type of product. We would like to warn our readers that this is an exceptionally firm mattress. When you’re spending north of $200 a lifetime warranty on parts and manufacture is a must. This mattress, which registers at about half that cost price, offers a 10-year warranty. 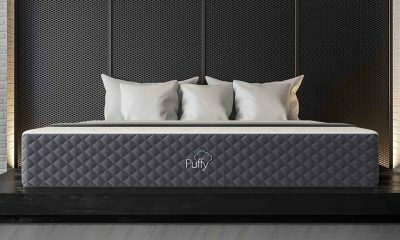 10 years is likely to be a longer period than you’ll actually use the mattress for, so we felt confident that the warranty on offer is adequate. It is also a conditional warranty. That means you can only make a claim if there is a manufacturing defect or the product was not as described. General wear-and-tear, sagging or accidental damage is not covered in this warranty plan. Thanks to the vacuum packed shipping this product is relatively cheap to have shipped anywhere in the US. Non-American buyers will have to organize shipping themselves or contact the manufacturer directly. If you’re looking to make a purchase directly from Amazon then you will get free shipping on any returns. This mattress weighs under 10llbs so should you need to return it to the manufacturer, the costs will be relatively low. We said at the beginning of this article that this was a low-cost mattress. 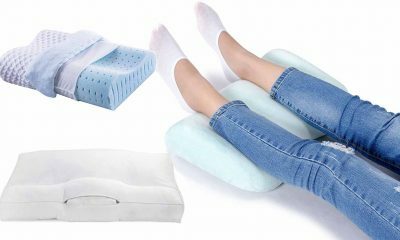 To receive fully-certified memory foam at this price-point is rare and a huge benefit of opting for the My First Memory Foam Crib Mattress. The fully-waterproof cover also means that you won’t have to invest in costly extras like mattress protectors. My First is standard US sizing so as long as you own a relatively modern crib that was purchased in the US this should fit the bill. When we placed it in our test crib we found the edges to be nice and snug with less than a two finger depth in between the mattress and sides. It’s good to have firmness in a mattress to reduce the risk of SIDS and encourage muscular development. We do feel that this particular mattress has gone overboard with that concept though. What we have here is a mattress that is as stiff as a board. The stiffness does have some practical benefits though. Pulling the mattress in and out of the crib is super easy whilst we also feel it will last a decent amount of time. 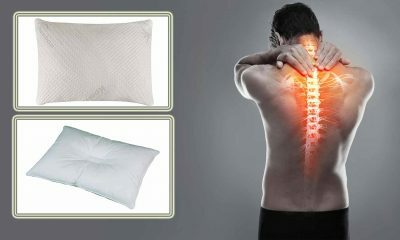 In the early stages of life, a firm mattress shouldn’t be too much of a problem in terms of comfort. It will likely soften with time and usage as well. Fresh out of the box, though, we couldn’t recommend using this with a toddler as the surface texture is just too firm for our liking. Most modern crib mattresses adopt a square cornered design. 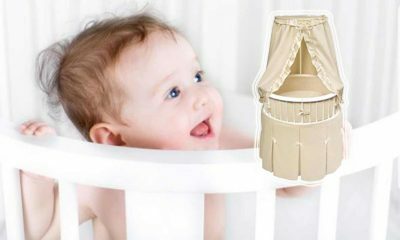 The reason for this is that it reduces gaps between mattress and crib. Those kinds of gaps are easy to get a small limb caught in, causing problems during the night. My First Sleep crib mattress is no different, using square cornered design to fit flush with the corners of our test crib. In terms of stitching, we couldn’t see any sharp edges or potentially dangerous loose ends. The zipper on the side could pose a minor threat if you have a particularly curious child though. 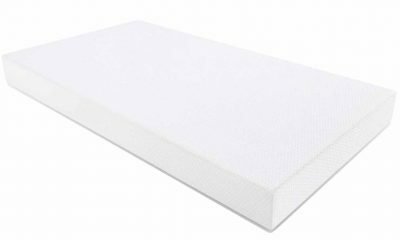 This My First Memory Foam Crib Mattress is one of the firmest on the market which is a huge benefit in terms of edge support. Most memory foam mattress will sag under pressure at the edges because the form itself is malleable. With this particular product, we were impressed with just how firm the edges were. They have a little give but with sustained pressure begin to push back against our hand. 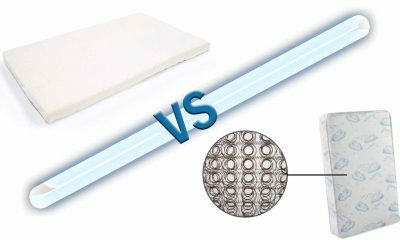 It’s hard to tell the difference between the edges of this crib mattress and a coil innerspring mattress such is the strength of the edge support. You Might Not Want To Get This Mattress If! If you have environmental concerns or are worried about the chemicals used in man-made materials you’d be best off avoiding this mattress. Cheaper products like this one have to save money somewhere and that usually comes by using the cheapest methods of manufacture. This isn’t a biodegradable or environmentally friendly product. That doesn’t mean it’s unsafe. In fact, we were impressed by the commitment to US safety standards whilst the mattress has no noticeable scent or smell out of the packaging. The other concern we have with this mattress is a more practical one. Judging by the firmness we wouldn’t recommend using this product for toddlers or older children as it will be uncomfortable. Equally, the lack of air-flow could be a problem for hotter sleepers. What Makes This Crib Mattress Stand-out? The good news is that there are no phthalates or leads used in the production of one of these. They also avoid using potential harmful fire-retardants or other chemical based treatments. Buying a cheaper mattress like this one, won’t expose your child to poor breathing conditions or make them unsafe. We were also very impressed by the materials for the price. 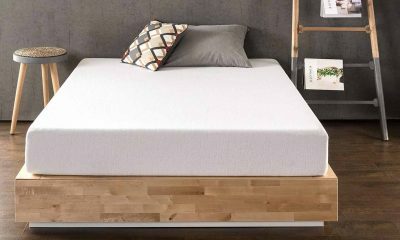 If you’re looking for a solid mattress that won’t break the bank but won’t be too cheap either, then you could do a lot worse than a My First Sleep crib mattress. How Long Will This My First Crib Mattress Last? The build quality and firmness are encouraging. We’d expect this mattress to last several years although, you’ll probably have to look at upgrading to something more comfortable as your child gets older. We always feel it’s especially important to consult real customers when it comes to cheaper mattresses. This gives us a good indication of how these mattresses work in real-life settings for real-life parents. The real talking point of this mattress was the firmness of the mattress itself and the softness of the outer cover. Parents felt this offered a good balance and was kind to their children’s skin. Parents also praised the quality of the foam. There have been some issues reported with the vacuum pack method. This My First Memory Foam Crib Mattress is folded, rather than rolled which means, in rare cases, the mattress won’t expand properly or becomes lumpy in places. The other issue parents reported was with the zipper which stops functioning properly after several machine washes. My First Memory Foam Crib Mattress operates as a direct to store manufacturer. That makes reaching the customer support team a little difficult and you’d be best off directing your concerns to the seller. We felt this was a real shame in what is otherwise a trustworthy brand. If you have specific questions to do with material construction or design flaws it’s difficult to get your voice heard with the manufacturer. Again, the main complaint that we found was with the mattresses not expanding properly. If you shop through Amazon you can ship faulty products back with no additional shipping fees. If you buy in-store then you’ll have to return it to the same place. What Type Of Cribs Will This Mattress Suit? If you purchased a crib in the US within the last 5 years or so then this mattress will be designed for those dimensions. Some users have reported that the mattress was a little on the short side. If you want to double check the mattress measures 51.6” in length and 27.2” in width. 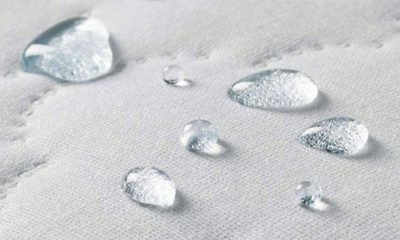 Will I Have To Spend Extra On A Mattress Protector? 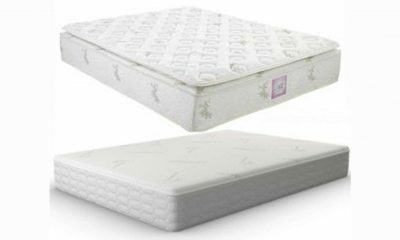 With most crib mattresses we recommend purchasing additional mattress protectors to get the most out of them. Fortunately, this particular mattress comes with a fully water-proof removable cover. The only problem is that the cover uses a zip which can easily malfunction after a few machine washes. You won’t need to purchase a protector straight away, but you may want to put some money aside just in case. Can I Use This In A Convertible Crib? Technically the answer is yes. However, this isn’t a dual sided mattress. 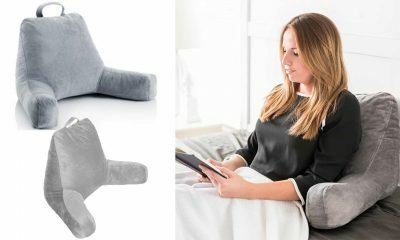 It relies on one thick slice of memory foam to provide equal firmness on both sides. 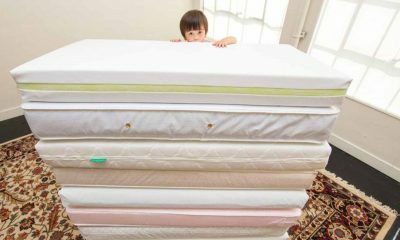 It’s most likely that this mattress will be too firm for toddlers so you may want to consider upgrading once your child grows. If I Don’t Like It, Can I Return It Easily? So long as you purchase through Amazon the returns process is relatively simple. Should you need to get in contact with the manufacturer directly it may be a little more complicated. As a direct to retailer company, you’ll be relying on the returns policy of the retailer rather than My First Sleep itself. The warranty is valid for ten years after the initial purchase. This warranty only covers the original owner so if you’re buying second hand then you’ll void the warranty. It’s also a conditional warranty which won’t cover wear-and-tear or accidental damages. The only time you can enact the warranty is if there is a defect or the product doesn’t meet the description that was provided. 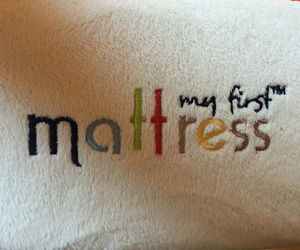 No, this “My First” memory foam mattress features a single firm side for sleeping on. We found the maintenance of this mattress to be very easy. The cover is removable and machine washable. Like-wise you can soak the inner mattress in cool water if you want to do a deep clean. It’s important to only use low-temperature water to avoid shrinking of the mattress or damage to the outer cover. 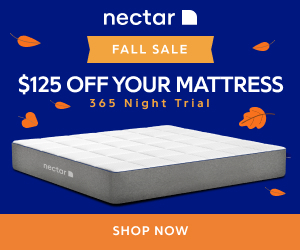 Should I Spend More To Get A Better Mattress? The old adage goes that you get what you pay for. This is a great value mattress but it won’t be as versatile as more expensive dual-sided mattresses. If you are going to make the purchase be aware that you may need to upgrade it as your baby grows older.